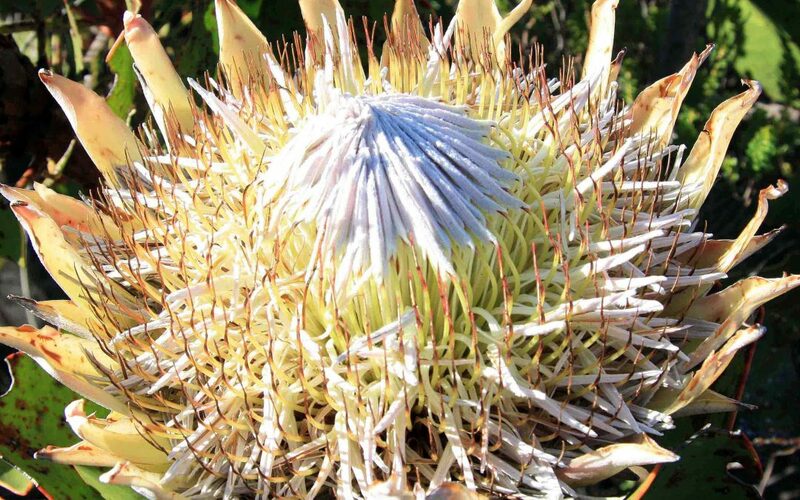 The genus Protea is one of the most well-known and charismatic of the Cape Floristic Region’s (CFR) Fynbos Biome. The King Protea (Protea cynaroides) is South Africa’s national flower. Members of the genus are exported as cut flowers all over the world, prized for their beauty, diversity and longevity. They are often depicted in artwork and are popular garden plants. Members of the genus are also known as Sugarbushes. A bitterly cold winter weekend in June brought us to the Cederberg Mountains which lie three hours drive to the north of Cape Town. This beautiful and rugged range is 100km in length and is known for its spectacular sandstone rock formations (such as the Maltese Cross and the Wolfberg Arch), ancient San rock art and being the home of rooibos tea! The shy Cape leopard is fairly common here but rarely seen. The highest peak in the area is Sneeuberg at 2,026m asl. 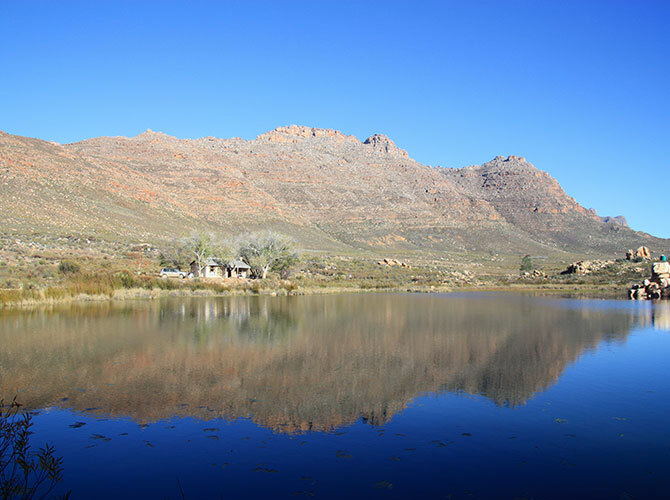 which is one of only two mountain peaks in the area that is home to the Cederberg endemic Snow Protea (Protea cryophila).